People might consider my views on how the world is run often conspiratorial. I usually address the Medical-Industrial Complex, but today’s news is about the Financial-Industrial Complex. 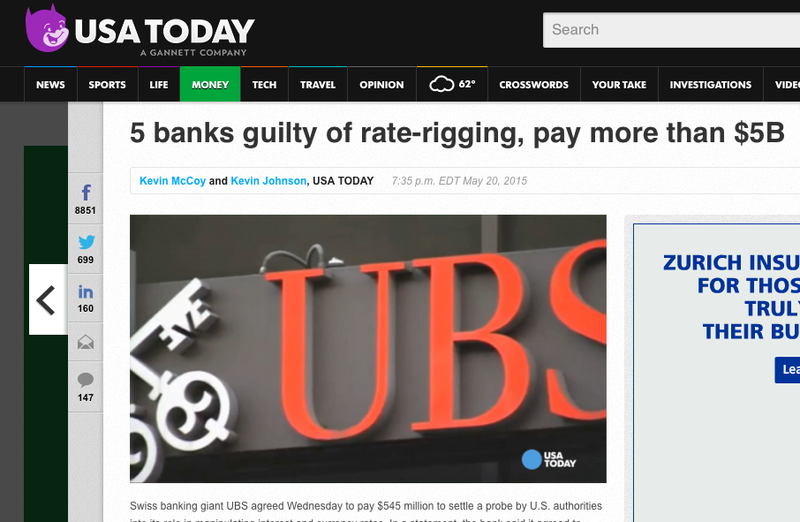 The US Justice department yesterday agreed to keep bankers who ran chat rooms for price fixing out of jail in return for money paid to the Federal Reserve Bank. By the way, the Federal Reserve Bank is the private banking institution that prints dollars so that is like the river paying the ocean back. This settlement without criminal charges must have been negotiated so as to preserve people’s faith in the market system and its institutions. Now real life and important things can go on: such as paying our taxes, dropping our bombs, take our parents to chemotherapy, and slaving to make our mortgage, car, insurance and utility payments. 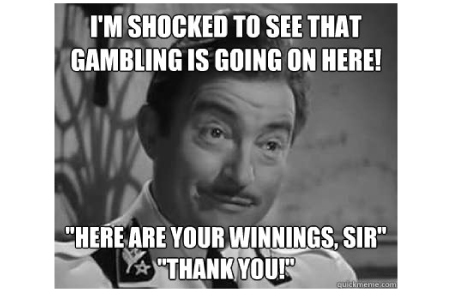 Yet this penalty is a bit like having casinos that were cheating gamblers pay the casino commission to atone for using loaded dice. 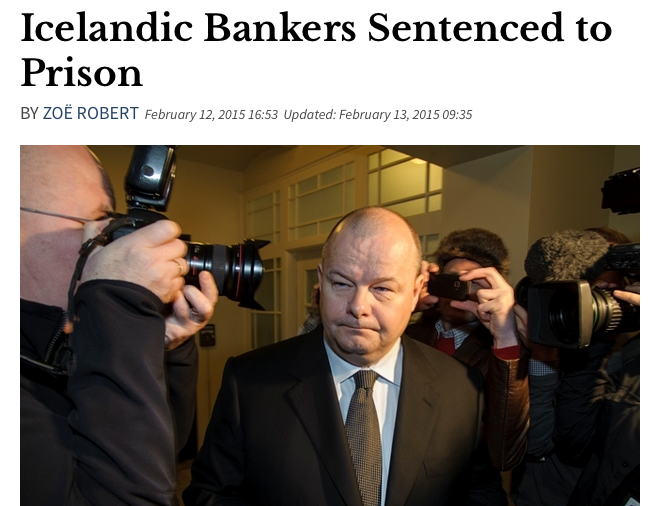 It’s a good think we don’t live in a barbaric nation like Iceland, where bankers are sent to prison for breaking laws.